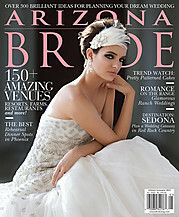 Allison Pynn is a professional makeup and hair stylist based in Phoenix, Arizona. Her work includes makeup and hair for several celebrities while she is considered to be one of the makeup industry experts. Allison’s client list includes John Frieda, MTV, E!, CNN..& the faces of Paula Abdul, Imagine Dragons, America Ferrera, Amy Schumer, Bret Michaels , Sarah Palin & more. Moreover, Allison specializes in HD Makeup, Hair Styling, Tattoo Coverage and is also an award-winning Body Painter. Allison is known for her professional attitude and fun personality that brings to the set while she works. She is available for makeup and hair services throughout Arizona.